How did Tesla get into this hopeless situation? The long answer is in 3 coming articles. 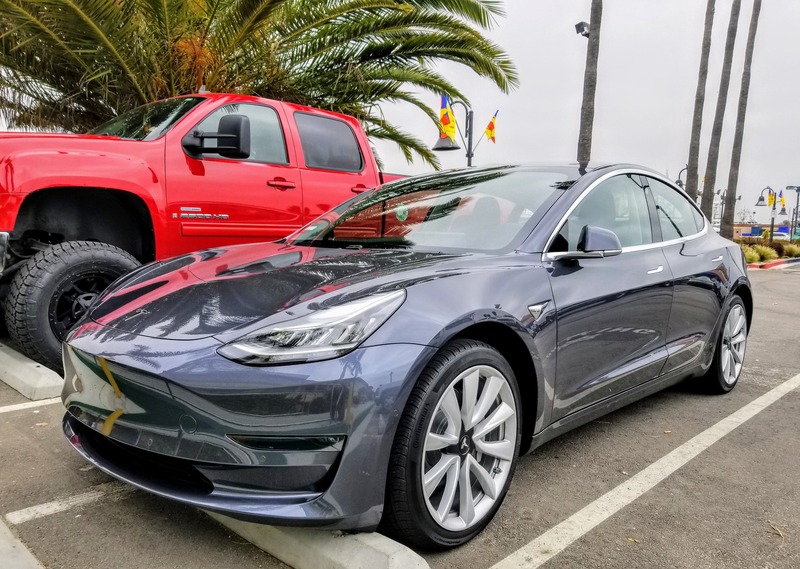 This first one examines the problems 450,000 Tesla Model 3 reservations created. Then we have a long look at the profitability of Tesla products. In my previous article, “Musk has had it with Wall Street,” I discussed the relative costs of correcting mistakes. In software development, we use a simple metric for the cost of correcting mistakes. • If the mistake is made/discovered in the global design, the cost is 1. • If the mistake is made/discovered in detail design, the cost is 10. • If the mistake is made/discovered programming, the cost is 100. • If the mistake is discovered in testing, the cost is 1,000. • If the mistake is discovered while in production, the cost is 10,000. This makes clear the importance of the early design phase, when everything is still open and all is possible. The further you come in the development process, the more choices are made and the less room there is for big mistakes. I imagine that the cost of correcting mistakes is even higher in hardware manufacturing. The Model S design got prolonged because of the search for a production location. Once it was found, bringing the car to production happened faster than anticipated — probably due to the extra time the design team had to debug their design and planning. The Model X design got prolonged because of the higher than anticipated demand for the Model S. Tesla spent its resources at ramping Model S from the “overly optimistic” (according to many) 20,000 vehicles/year to a more realistic 50,000 vehicles/year. 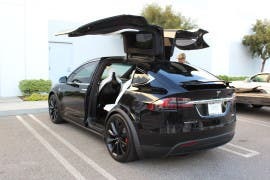 This time, the design team used the extra time to improve on technologically revolutionary options, like the falcon-wing doors and the beautiful chairs — which made the Model X “impossible to produce in volume.” Yes, that claim was later proven untrue, but the challenges did hamper production for a while. This was a lesson learned for Tesla. The next time around, Model 3 production started with a minimum number of options (but a maximum on margin). The Model 3 design was cut short. The internal betting pool for the number of reservations Tesla would receive on opening weekend had a high bet of about 90,000, making the average probably between 30,000 and 50,000. This is not a published number, but my guess based on the many office betting pools I have witnessed. The reality was over 100,000 before the reveal — before the car was even shown — climbing to over 300,000 in a number of days and stabilizing around 450,000. With this number of reservations and the planning needed to produce perhaps 100,000 in 2018 and another 250,000 in 2019, to reach an annualized production rate of 400,000 (8,000/week) during 2020, many people would have to wait 3 to 4 years or more for their car. 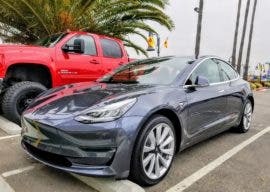 This made Tesla reconsider the planning and ramp of the Model 3. The start of production was advanced 6 months to early July 2017. The goal of 5,000/week was advanced a whole year to the end of 2017. The max production rate was raised to 10,000/week and advanced 18 months to end 2018. When publishing this new planning, Tesla warned that there would be setbacks, missed deadlines, uncertainties, and production hell. Now we know how true those predictions were. The higher speed of development and early start of production did cost Tesla dearly. Shorting development time increased the number of mistakes that had to be corrected, and also the severity of the problems encountered. What is worse, it exploded the costs of correcting those mistakes. And during the conference call last week, it was clear that this was another lesson Tesla did learn. Don’t get pressured to shorten your planning because of the number of reservations you receive. When questions about the Model Y were asked, Elon Musk was very clear. “Although it is remarkable — although the amount of money spent in the beginning is really quite low in the beginning of a development program, decisions made at the beginning of a development program have massive implications for future CapEx. “So it is better to spend a bit more time making the right design decisions and really thinking through the producibility of a product before racing ahead with CapEx decisions. There’s no question we could have made the Model 3 much easier to produce than we have. With the Tesla semi, they first increased the price of a reservation from $5,000 to $20,000. And then they went silent on it. And when asked during the conference call, Elon Musk did not know the number of reservations, was not interested in it, and told the press they were not selling it. Not like the anti-selling they did with the Model 3 (and that did not work), but even stronger — clearly staying away from a long reservation list. And now the fun from Seeking Alpha. 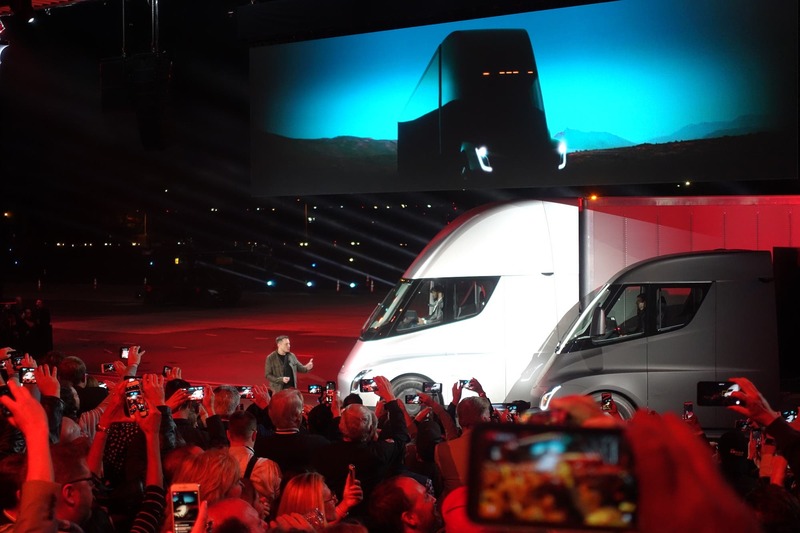 Now that Tesla is trying not come into the same situation as with the Model 3, some analysts have come to the conclusion that Tesla has scrapped the Semi altogether. Don’t you love those shorts? I see a new great opportunity coming for buying cheap Tesla stock when the next short rally pushes the price down again.